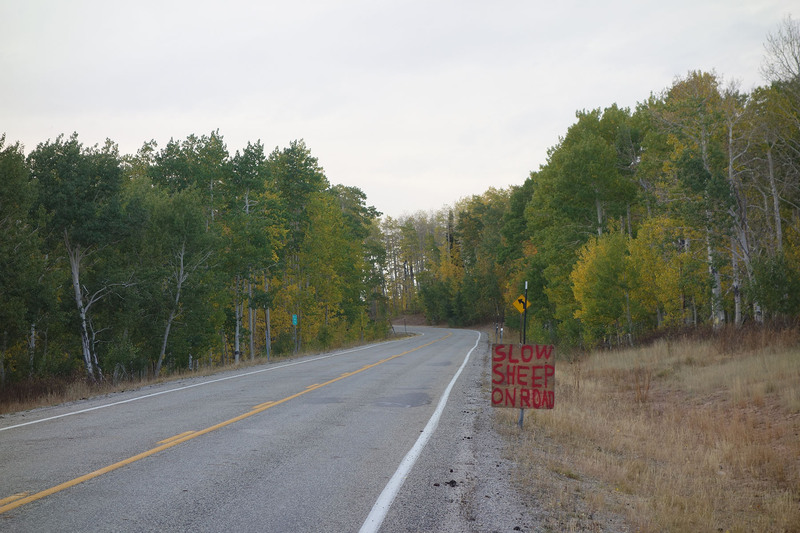 I saw these delightfully homely signs while taking the Monte Cristo scenic drive through rural northern Utah a few weeks ago. This is the time of year that ranchers bring their sheep and cows down off federal land, where they’ve been grazing all summer. 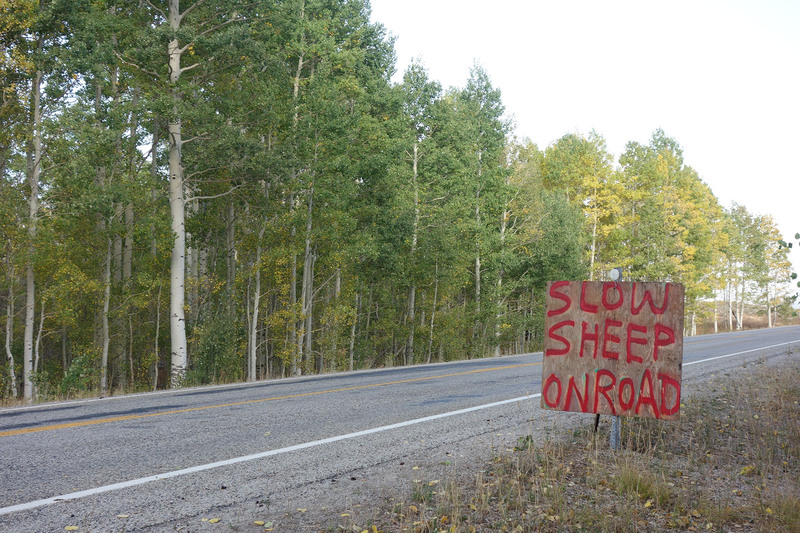 Naturally, I had to wonder—Do only the slow sheep hang out on the road?